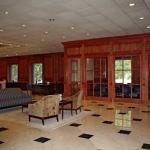 Summer of 2008, the Creative Surfaces team wrapped up another bank cabinetry project. 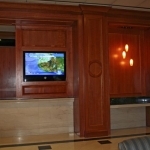 The bank located in downtown Dallas, TX added a conference center, built in TV surround and coffee bar in the lobby…all bank custom commercial cabinetry & millwork. 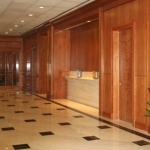 Additional upgrades were made to the reception desk and back room cabinets. 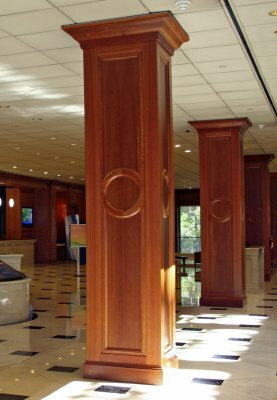 Creative Surfaces was able to finished the conference center within the existing lobby by matching the look and feel of the existing custom millwork in this highly sophisticated bank headquarters. 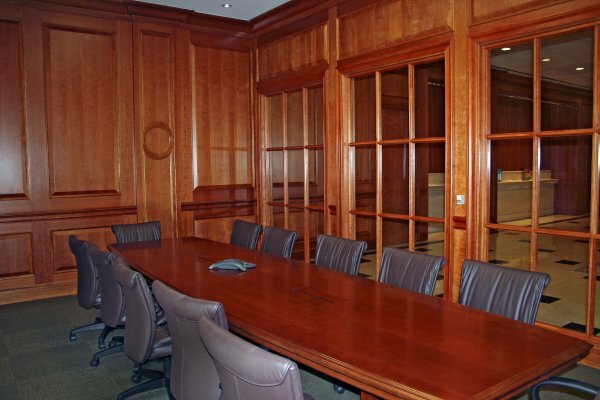 The Creatives Surfaces team worked with the project manager, general contractor and architect to successfully complete this exciting, challenging, and beautiful project. 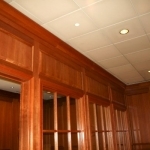 At Creative Surfaces, we are your source for banks and financial institution’s custom commercial cabinetry & millwork. 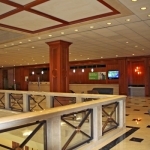 We manufacture and design for all aspects of the banking industry. 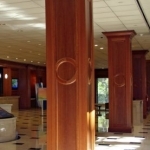 Since 1988, we have been fabricating some of the finest fixtures in the country. 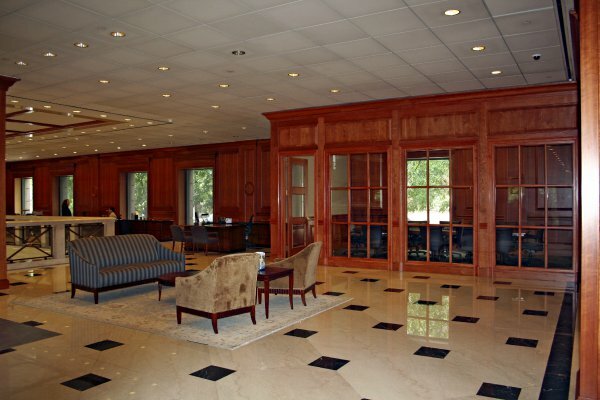 At Creative Surfaces, we have 130,000 square feet of manufacturing space and we are committed to producing a quality product on time and within budget. This starts with quick bid turnaround. 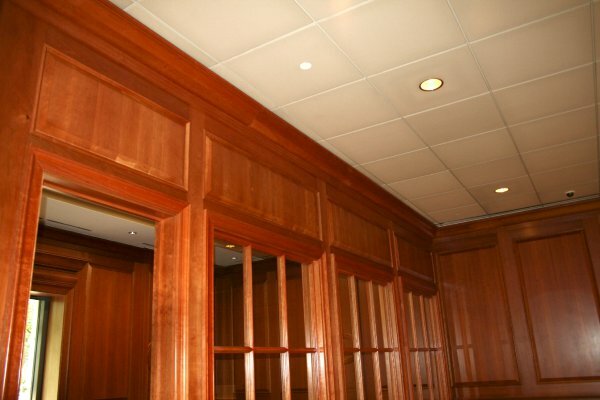 Our team of highly skilled craftsmen and cutting-edge technology, we can efficiently handle any size job. 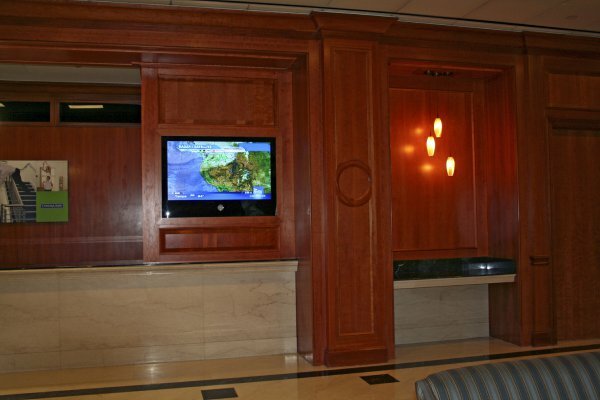 And, with our team of Auto Cad technicians, we can even help you design the perfect custom fixture configuration for your financial institution that will meet your unique needs. 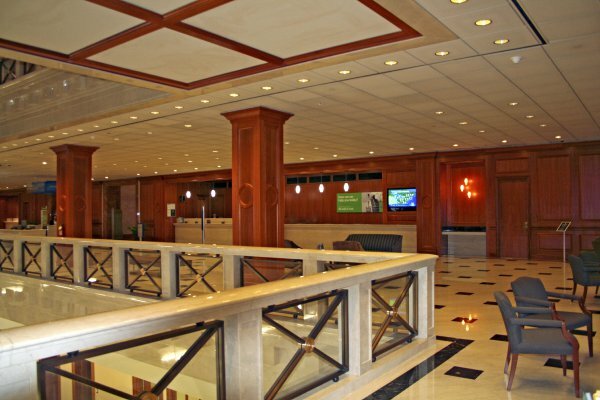 From the reception desk to the teller line, our design team will create the perfect look for your bank. And, we install ALL of our own projects.